Fascinating! I have to say that I don't remember these at all. Other R & L cereal premiums, yes - the Totem Poles, the Toolie Birds, Neptunes (despite the website you have a link to saying they were only distributed overseas - we got quite a lot from our cereal boxes! ), Crater Critters, Wacky Walkers, and probably others. (Definitely others, but I don't know if they were made by R&L.) Perhaps we didn't eat the right kind of cereal for the Camel Trains! Wow. Why don't they make things like these anymore. 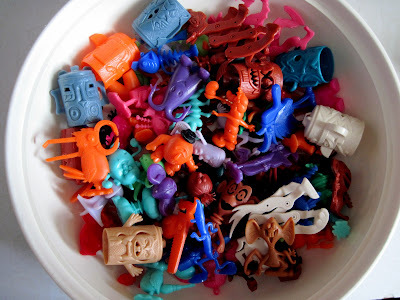 As a young adult I would be thrilled to find these in my cereal. We did have King Neptune's Deep Sea Band in Australia, Rebecca as I remember fighting siblings for the mermaid. 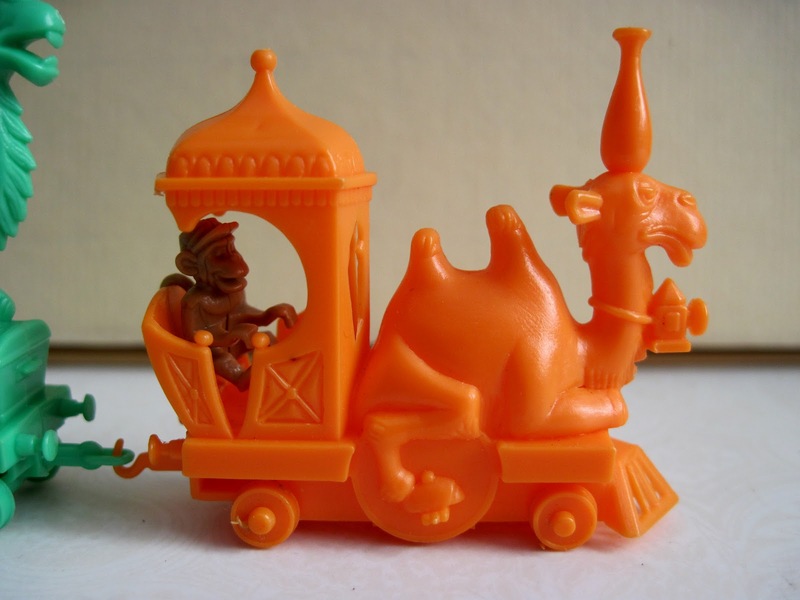 I don't remember the camel trains as a child either although I have a few now as an adult. They really were amazing and perhaps more so in a time when receiving toys was generally limited to birthdays and Christmas. Thank you for posting these - I love the way you have mixed the colours for even greater impact. Yes, Christine, that's what I meant - the link that Tracey provides at the beginning of the post is to a website by a guy in Melbourne, and he's the one who says Neptunes were only released overseas. We still have ours - and you remember them too - so I'm not sure where he got that information from. Now I'm more curious about when and in which cereals the Camel Trains were available! 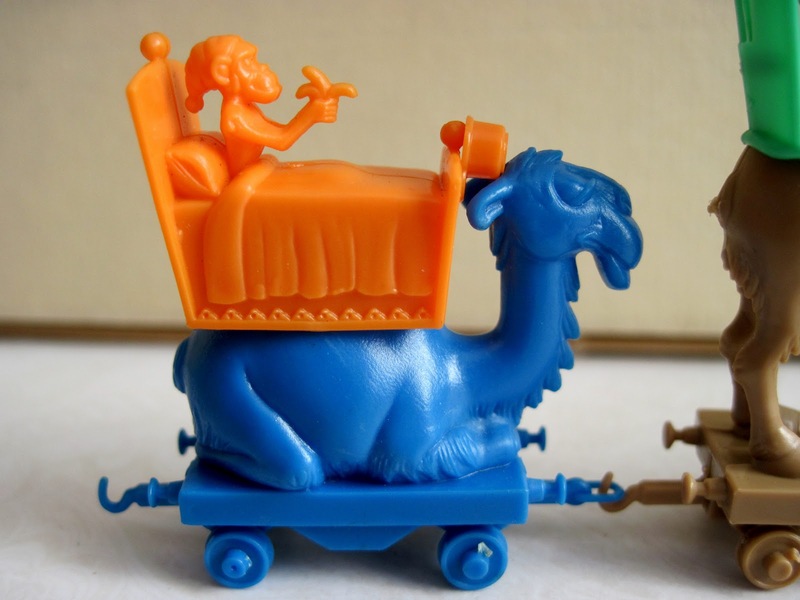 I think I can clear up the "overseas" distribution confusion: the site I linked to is from an American (like me) so when he says a set was "only available overseas" he means it wasn't distributed in the U.S. You lucky Australians got a LOT more R & L toys then we did here, although, as Christine mentions, you frequently had to fight little brothers and sisters for them. I would dearly love to have one of these sets. What a fond childhood memory. Yes, you are absolutely correct. At the time I first wrote this post, whatever source I had used for my background info had erroneously stated the camels were only available in Australia. After checking another source, we discovered that wasn't true, and while I mentioned it in a comment at the time (see below) I never got around to fixing the post itself for some reason. I fixed it just now, though. Thanks! Plus I completely missed that Tracy beat me to it. :) Anyway, thanks for the correction, and thanks for the arcticle! 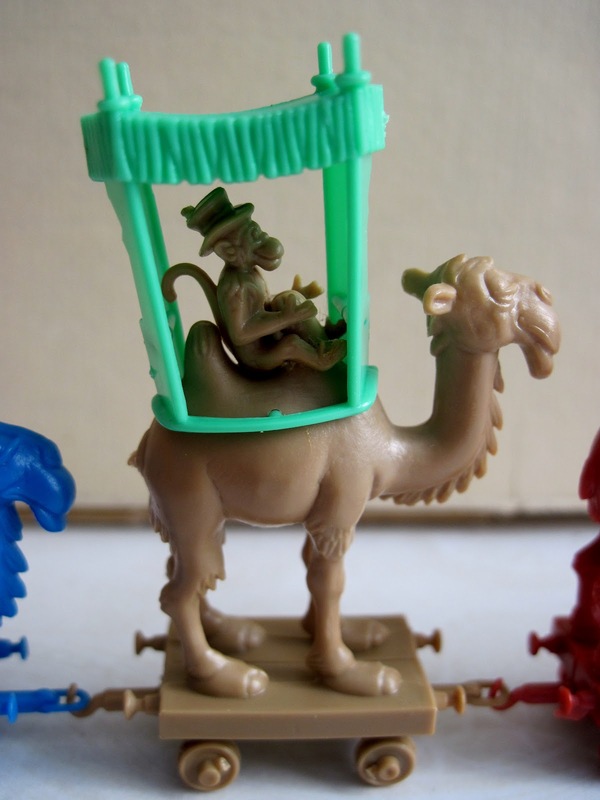 I've no idea why this one cereal toy has stuck with me for over 40 years. Thanks for getting me to finally correct my article! :) It was long overdue. 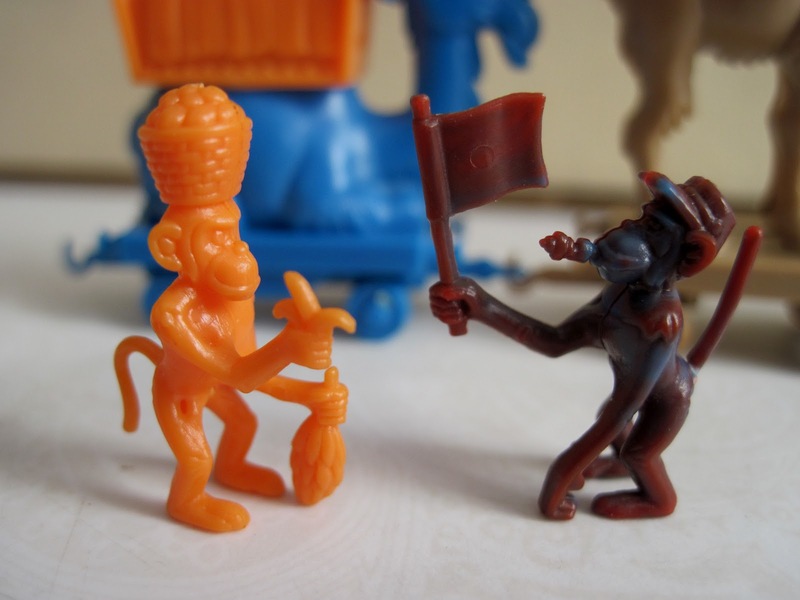 It's funny, isn't it, how the littlest toys, like cereal premiums and cracker jack prizes, really hold such special places in our memories...I hear it all the time from people, and I know it's true in my own case as well. www.cratercritters.com. I've bought some pieces from there and all went well. 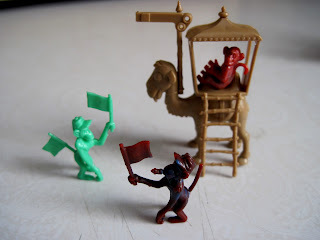 And if you'd like a really fun read all about these and other R & L premiums, and one man's adventures in collecting them, look for the book "Searching for Kingly Critter: A Deliciously Different Tale of Obsession and Nostalgia," by Barry Divola. 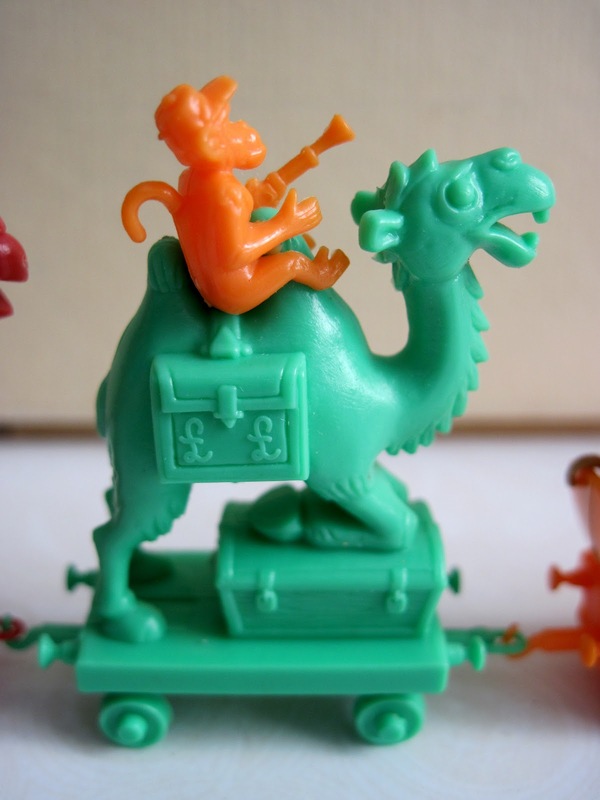 I looked up Camel Trains for you in my R & L book and it says they were distributed in two cereals in Australia, called Large Corn Flakes and OKs. In Japan, they were released in Fruit Pon and Rice Krispies, and in the U.S., Sugar Smacks (that last one was news to me: I didn't remember them as ever being here.) They came out in 1969, but I don't know how long they were being given away. Thanks for clearing that up, Tracey¡ I obviously confused the location of R & L with where Mike Speth was from. 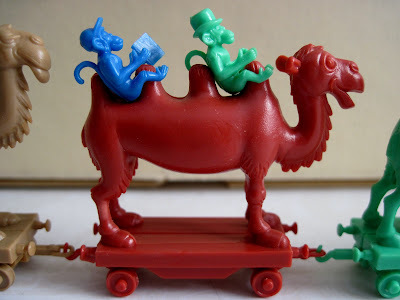 And that's interesting to know which cereals the Camel Trains were in. We definitely ate cornflakes (not OKS, though, whatever they are) - but maybe we had small cornflakes, or large cornflakes when they included a different series! I would have been gaga for those as a kid. Beautiful designs. I'm impressed that this premium was designed in the 1960s. So charming, I thought they were from an earlier era. 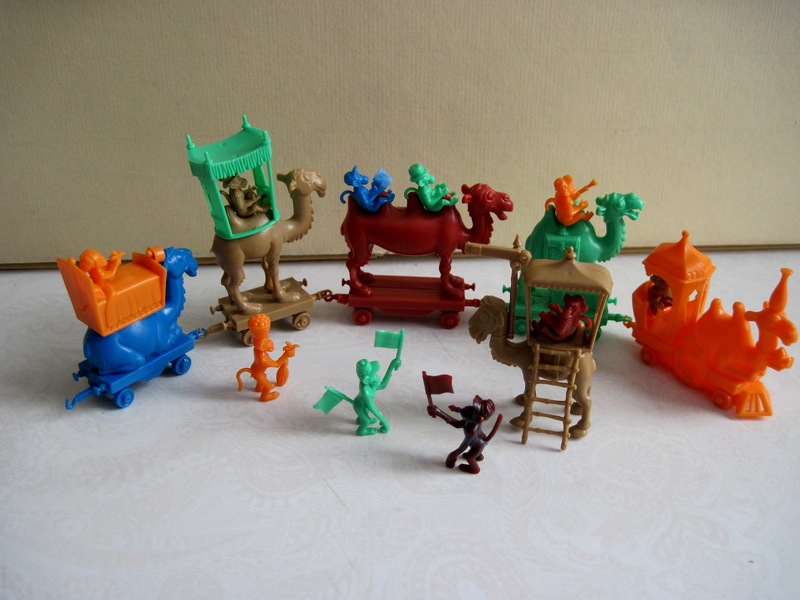 I have some of the Camel Train and some of the Circus Train. They are all pretty banged up from all the moving I've done over the years, but I've loved them so much. You're right, they definitely have a Dr. Suess vibe going on! You can find them for sale at www.cratercritters.com.